Gandhiji said, “Unless people’s bellies are filled, there is no way their minds can be filled”. 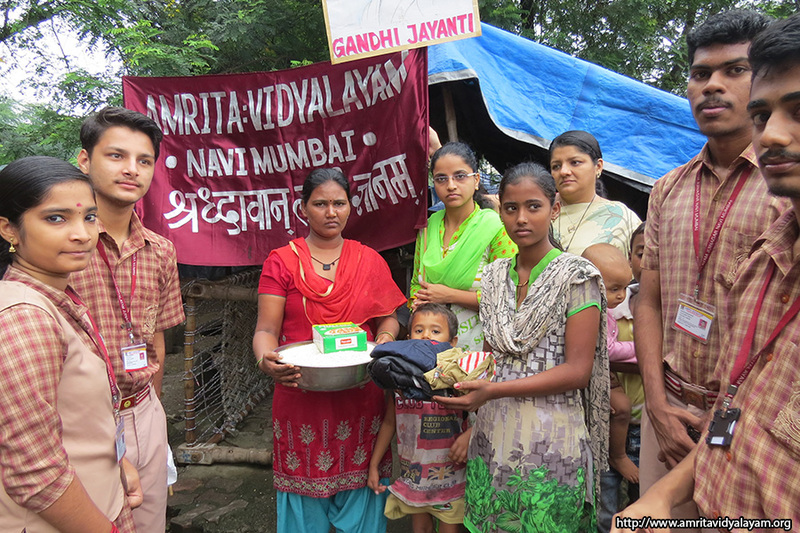 On Sunday, October 2, 2016, (Gandhi Jayanthi and Lal Bahadur Shastri Jayanthi), teachers and students of Amrita Vidyalayam visited the adopted families in the Juinagar area to donate rice, soya bean chunks, toys and clothes collected by the school. 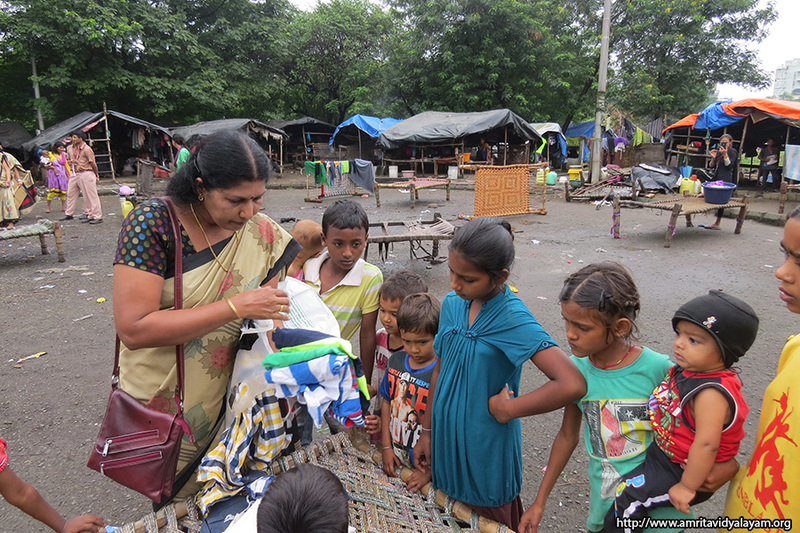 This month, the students generously donated toys and clothes too. As they have been visiting the families for the past 3 months, the students were aware of their requirements. A couple of families who were not adopted came to ask for food. The thoughtful teachers had carried extra packets of food and were able to give them immediately. The student volunteers came forward eagerly to participate in Sevamritam this month also, and were seen diligently sorting the packets to be given to the families. 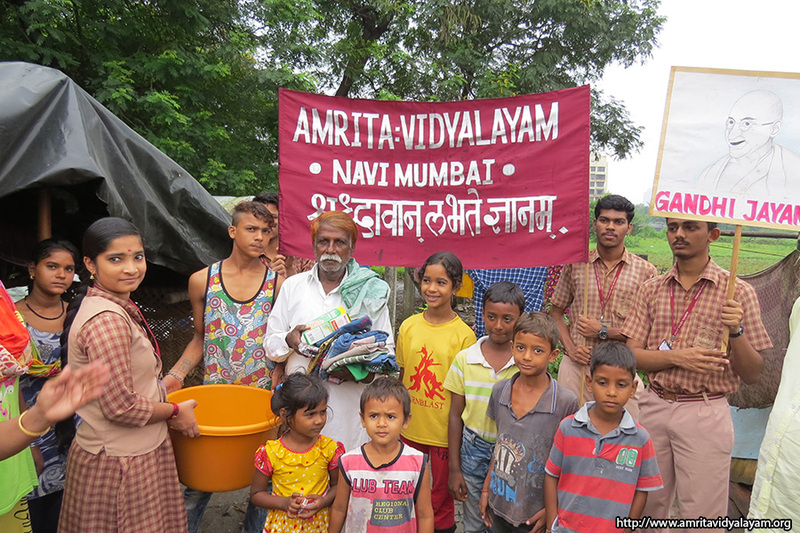 They also ensured that each family received neat and clean clothes which were suitable to their needs.